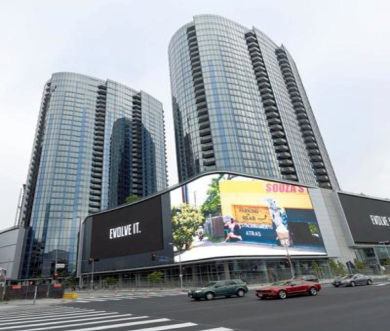 The project at 1200 S. Figueroa St. has 648 apartments and an 18,000-square-foot digital billboard. DTLA - In a supercharged development scene, it barely counts as news anymore when a Downtown housing project opens. As Los Angeles Downtown News recently reported, eight market-rate developments are coming online in the South Park area in the space of about six months, bringing a total of more than 3,300 rental units. Yet amid that torrid pace, the Circa project stands out. That happens with a $500 million budget and a design that literally alters the Downtown Los Angeles skyline. 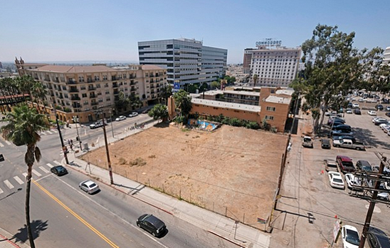 Los Angeles-based real estate investment firm MWest Holdings has broken ground on a mixed-use Echo Park development. 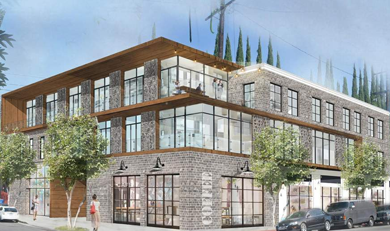 The project, located at 1533-1539 Echo Park Avenue, will consist of a three-story structure featuring 35 studio apartments above 2,000 square feet of ground-floor retail space and 40 basement parking spaces. Will Downtown Spillover Fill Out Westlake? There is a shortage of where people can go and develop right now,” said Seth Grossman, a Century City-based senior managing director at Meridian Capital Group, a commercial real estate finance and advisory firm headquartered in New York. Spillover has until recently extended only as far as a section of Westlake that hugs the 110 freeway, where several new residential projects have risen among office buildings that give the area a downtown feel. For decades, the Weingart Center has been a fixture on Los Angeles’ skid row, one among the many places of refuge where homeless men and women come for shelter, food and support. 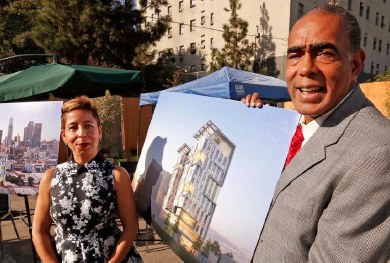 Now the social services agency is expanding its mission into permanent housing and plans to do it with a flourish by reshaping the skyline of L.A.’s most depressed neighborhood. 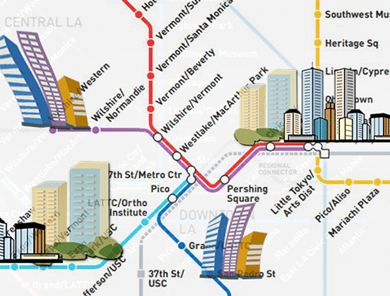 The LA Department of City Planning released the official Transit Oriented Communities (TOC) Affordable Housing Incentive Guidelines on Sept. 22. The new rules aim to streamline the development process and incentivize affordable housing development by implementing a section of Measure JJJ, which was passed by voters in Nov. 2016. On a spectacular site covering 447 acres just north of the Getty Center, the billionaire philanthropist Nicolas Berggruen is planning, as the new headquarters for the 7-year-old institute that bears his name, an ambitious but low-slung and generally restrained campus of buildings. It will be designed by Swiss architecture firm Herzog & de Meuron (with L.A.’s Gensler) and set within a landscape by Michel Desvigne and Inessa Hansch. 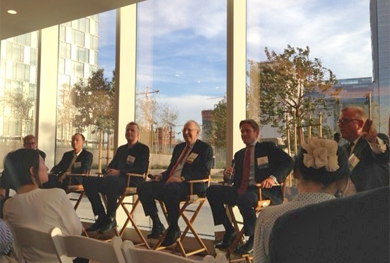 Sponsored by the Urban Land Institute (ULI) Los Angeles Chapter, on April 27, 2017 Craig Lawson participated in a panel focused on the opening of the Metropolis Mega Project in Downtown LA. What began as a 6.3-acre land assemblage in the 1980’s has become LA’s largest residential, retail and hotel mixed-use complex including four towers with over 1,500 condos, 350 hotel rooms and 70,000 sq. ft. of retail space. Craig Lawson & Co., LLC has led the effort to obtain the complex land use entitlements for this project, and has successfully processed several modifications to the original entitlements, including a Conditional Use Permit for the new Hotel Indigo. On the corner of Wilshire Boulevard and Figueroa Street in downtown Los Angeles, workers are putting the finishing touches on the Wilshire Grand, the West Coast’s tallest building. Owned by Korean Air, it rises 1,100 feet and will have a hotel, offices and observation deck when finished. Two blocks away, China’s Greenland Group is busy erecting the four-tower Metropolis community, a $1-billion development with 350 hotel rooms and more than 1,500 condos.